Interesting twist on a ‘burglary’ mask… made of finest spider-web chantilly lace with enmeshed-veil mouth cover… don’t know where to start with analysis of this symbolism, but it surely grabbed my attention! It is intriguing, Nancy, I agree. I do think it’s rather creepy and surprisingly non-commercial. 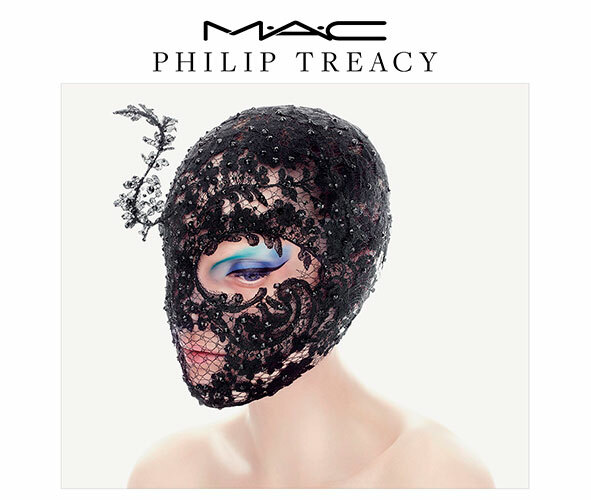 It reminds me of Leigh Bowery and something he would have come up with back in the 80s. https://overdressedforlife.com/2014/02/03/fashionable-quote-of-the-week-by-leigh-bowery/. Thanks for the comment! Interesting but I do love my MAC lipstick. I used to wear MAC too, Cynthia, and I miss the great lipstick colors. I gave up MAC because I got tired of the rude customer service I ALWAYS received at their counter. Lately I’ve been buying Zuzu at Pharmaca. Thanks for reading and the comment. I had seen the color in a magazine ad and knew it was for me. Lush Life. I’m going to buy another tube before they discontinue the color, as Lancome does. When I want to purple it up i apply Lancome Electrique which a guy at a makeup counter insisted that I buy, probably 20 years ago. But it still works! Best lipstick selection ever from someone at a makeup counter.